The buildings surround a Baroque flower garden, whose centrepiece is a pond with a large fountain. From this, a chestnut-lined allée approximately 500 metres long runs parallel to the river bank, flanked by small rectangular hedged parterres. The 28-hectare park surrounding the main buildings contains botanical attractions from all over the world. Among them is a camellia tree more than 230 years old – one of the oldest in Europe. Legend has it that Carl Peter Thunberg brought it from Kyoto to Kew Gardens in 1776. 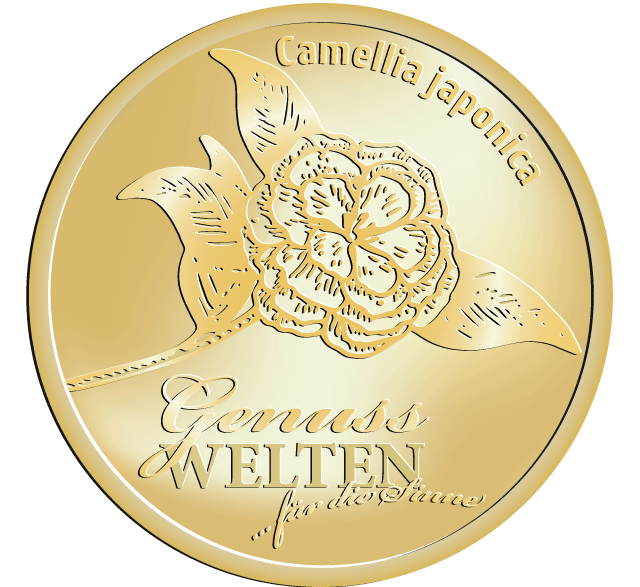 The Camellia japonica was planted in its current location in 1801. It extends 8.9 metres and, from February to April, produces up to 35,000 flowers. During wintertime, the tree is protected by a glass house on rails.